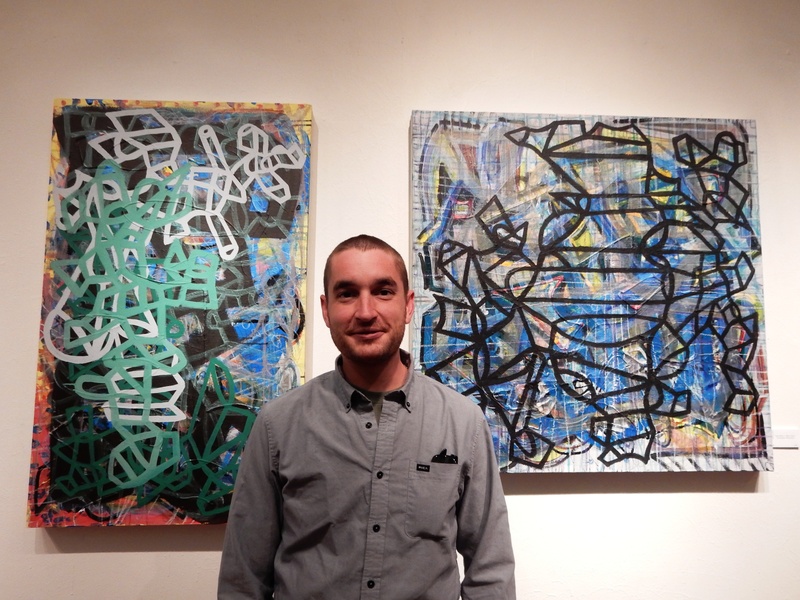 Christopher MacQueen, N4th Gallery Co-coordinator, Exploratory Arts Staff and painter. 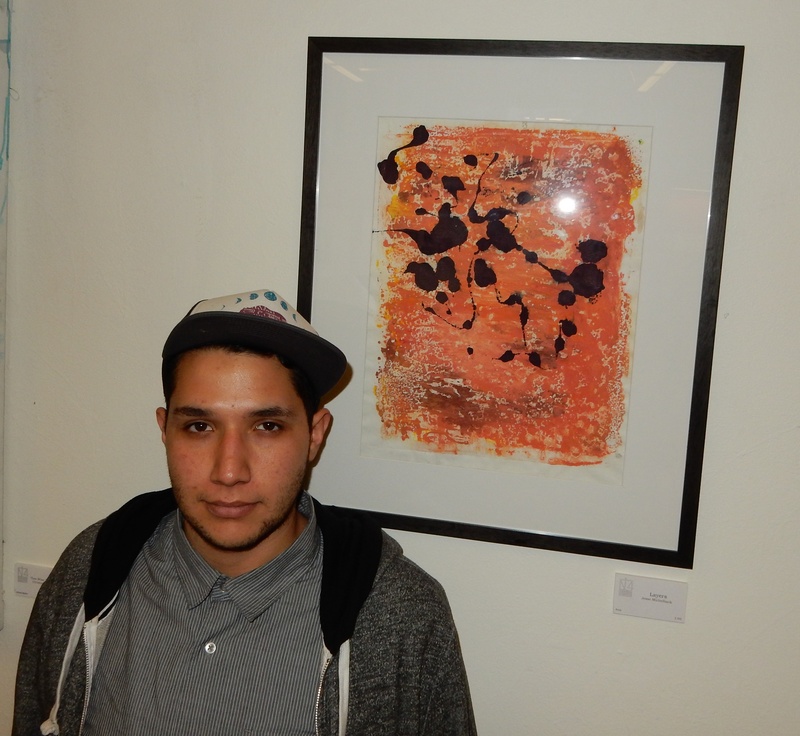 Christopher focuses on connecting straight and curved lines; they’re elemental shapes that can dictate the course of the painting. 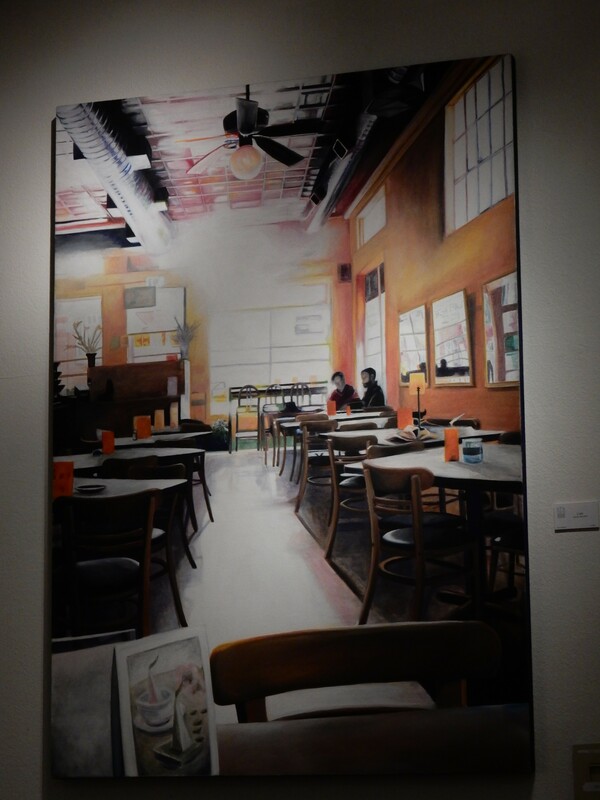 The North Fourth Art Center is brimming over with artists—they’re everywhere—classes and theater and gallery and hallways full of art and artists. It is quite a wonderful sight. 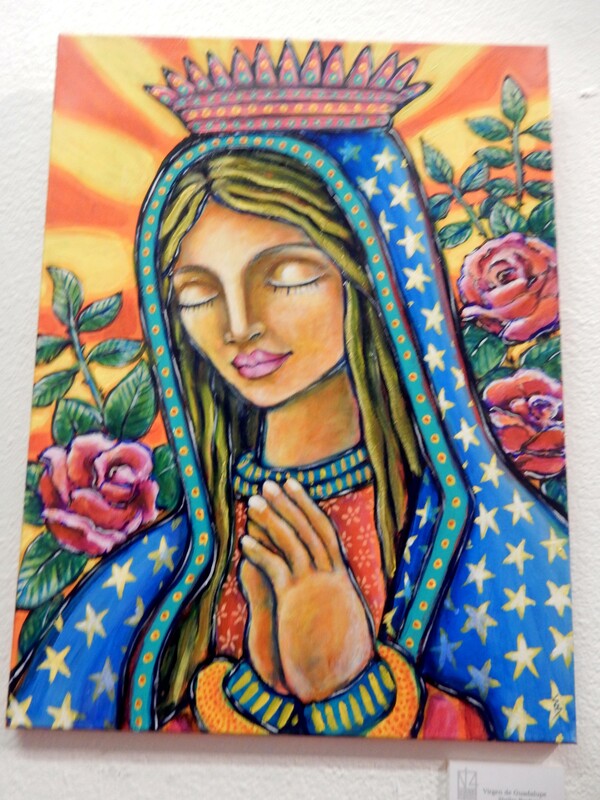 In the midst of all this painting and singing and sculpting and dancing it is easy to forget that almost the entire staff of teachers, direct care staff, administrators and volunteers are also artists—accomplished and innovative artists in fact. To celebrate this staff and volunteer talent, we organized in•struct. 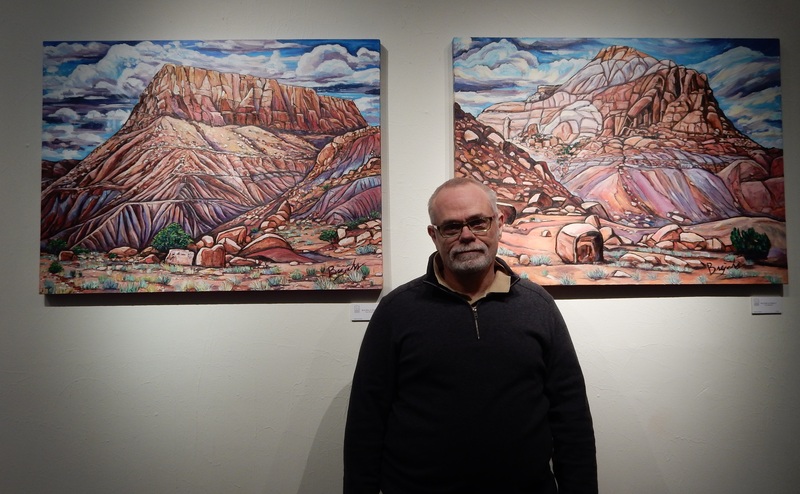 in•struct provided a glimpse into the artistic inspirations and working methods of the talented people who form the backbone of an organization that has served Albuquerque’s arts community for over 30 years. The exhibition is an artful mix of 2D and 3D work in a surprisingly wide range of media— from the fabric art forms of an “interactive” sculpture, an embroidered “painting” and a woven wall hanging, to prints produced using woodcut, monotype and intaglio techniques. 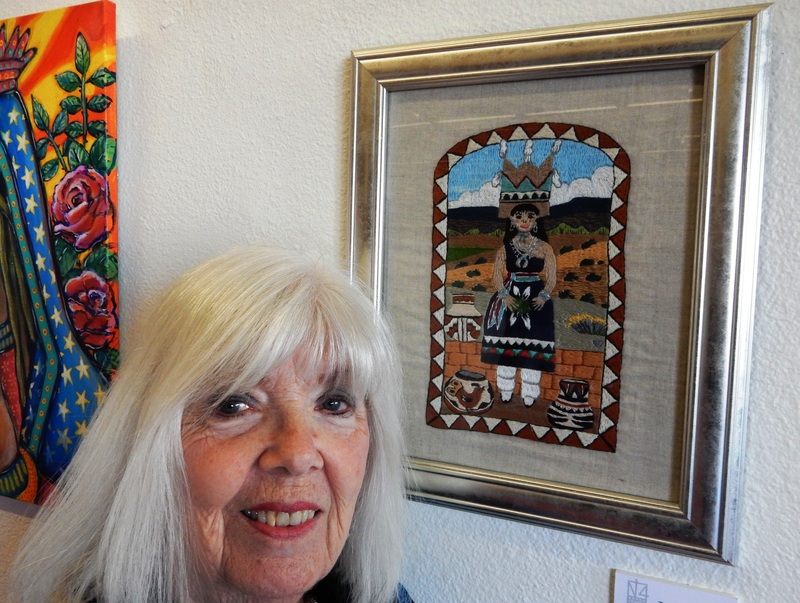 The exhibit also includes oil, acrylic and watercolor paintings, photography and works in ceramics, colored pencil and mixed media. in•struct was in the gallery from September 19 through November 10th and was enjoyed by all who visit North Fourth on a daily basis as well as visitors from the community. Curators Philip With and Jessica Pinto did a great job to make sure a range of media and styles were represented. Enjoy the work and a few words from some of the artists. 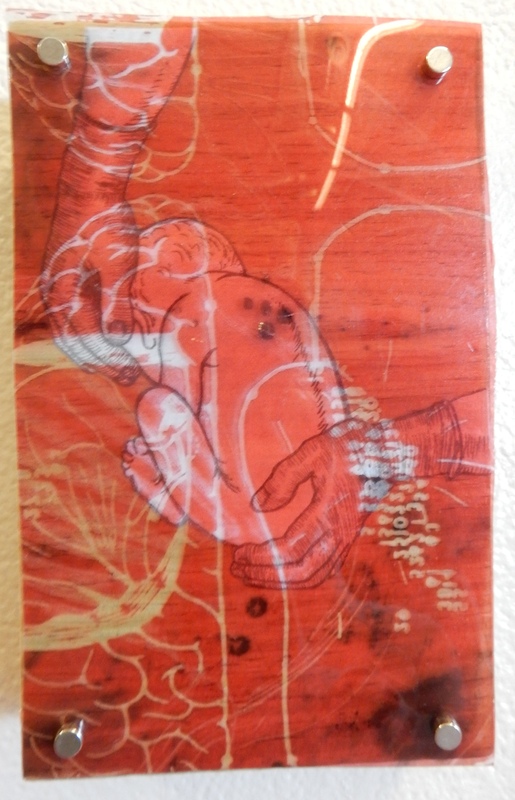 Monique Montoya,Visual Arts Teacher and printmaker. She particularly enjoyed making “Sax Man” which is based on her brother, a sax player. 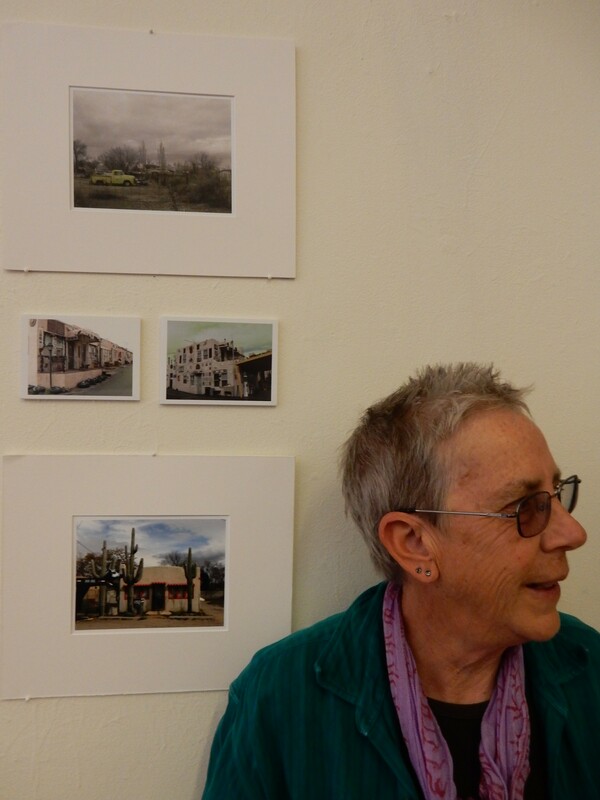 Deborah Brink, Arts Adventures Director and photographer. 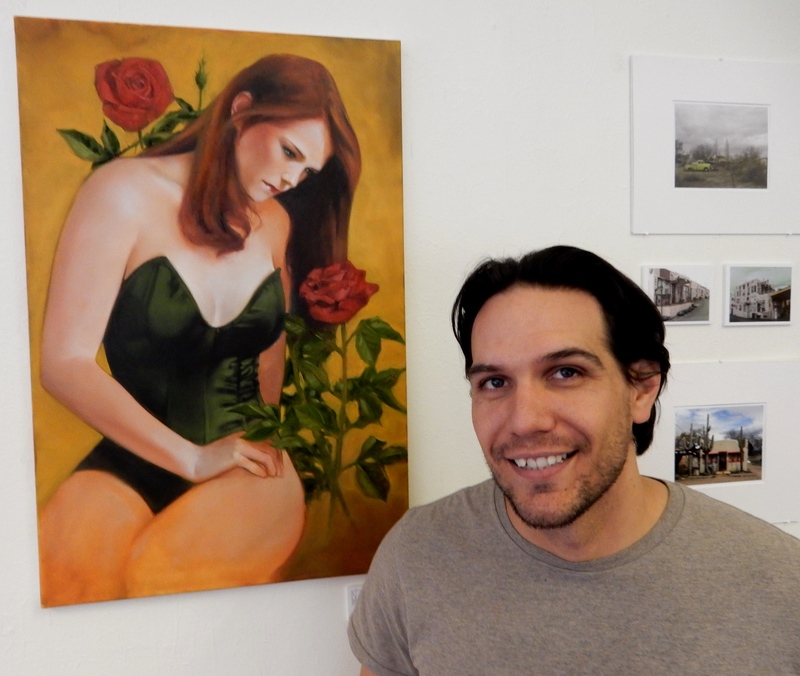 Tom Brejcha, Visual Arts Teacher and painter calls his work, hyperrealism. Tom loves all kinds of art, he says it feeds his brain so he stays creative. 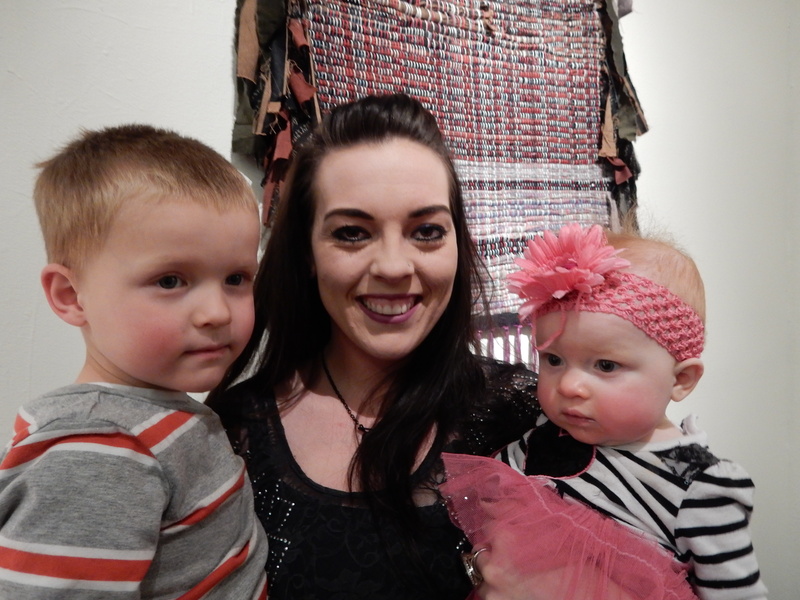 Chelcie Hammond, Exploratory Arts Staff and weaver/mixed media artist–accompanied by her two very finest works of art. Teddy Jackson, Direct Care Staff and photographer. 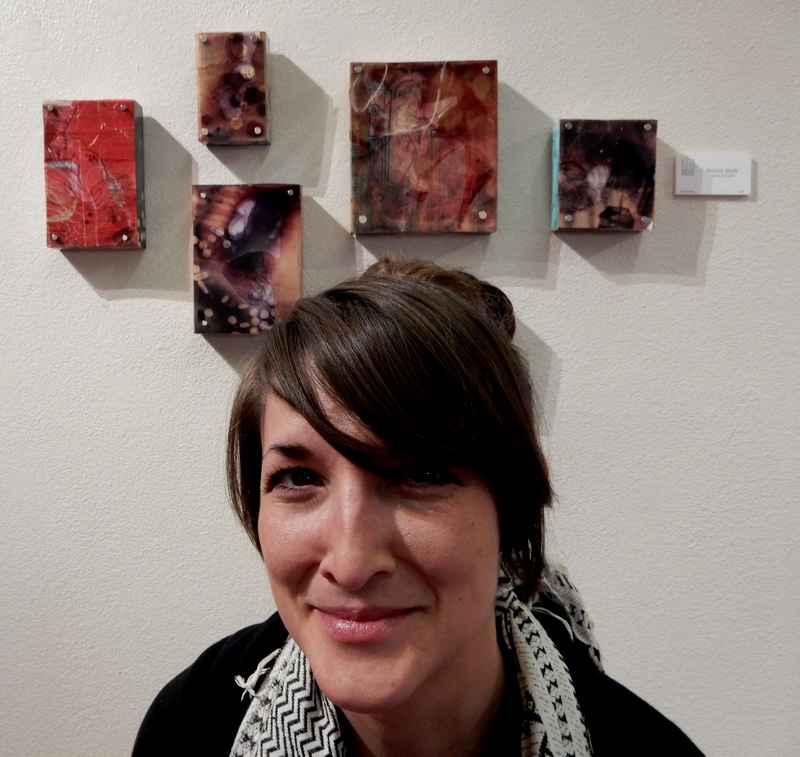 Tamara Schardt, Visual Arts Teacher and mixed media artist. 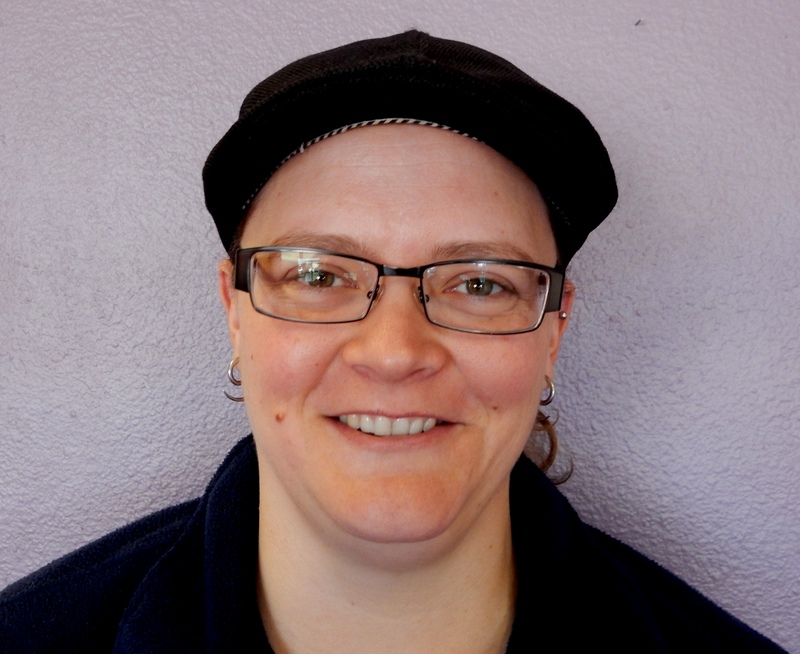 According to Tamara her Breech Birth grouping is an exploration of how memory shifts and changes over time–that memory is a layered process. 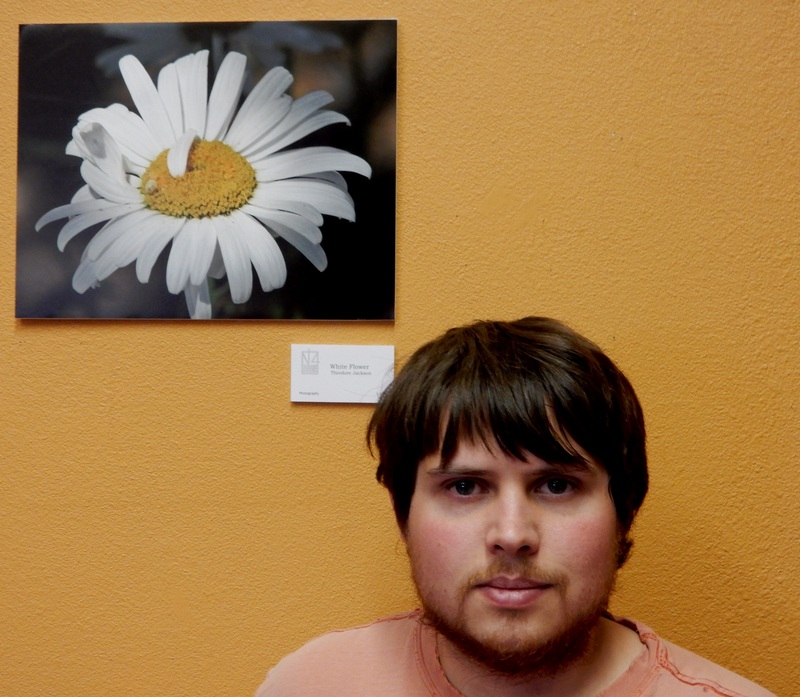 Derek Smith , Exploratory Arts Staff and painter. 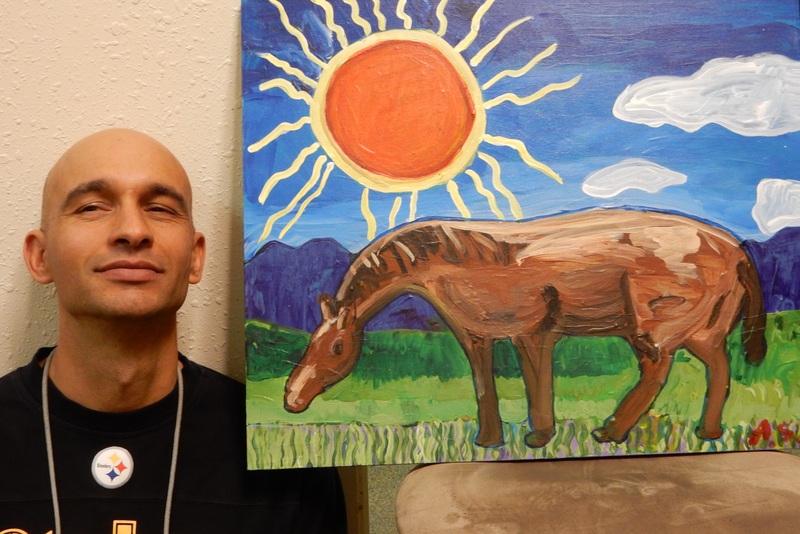 Adam Smith, Day Arts Staff and painter. 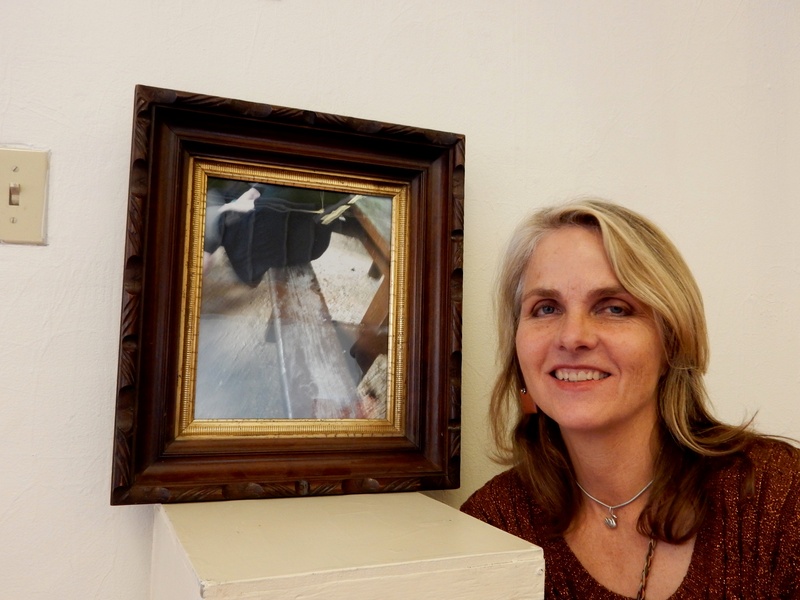 Susanna Kearny, Visual Arts Outreach Staff and photographer. Work by Shelley Bredeson, Super Volunteer and painter. 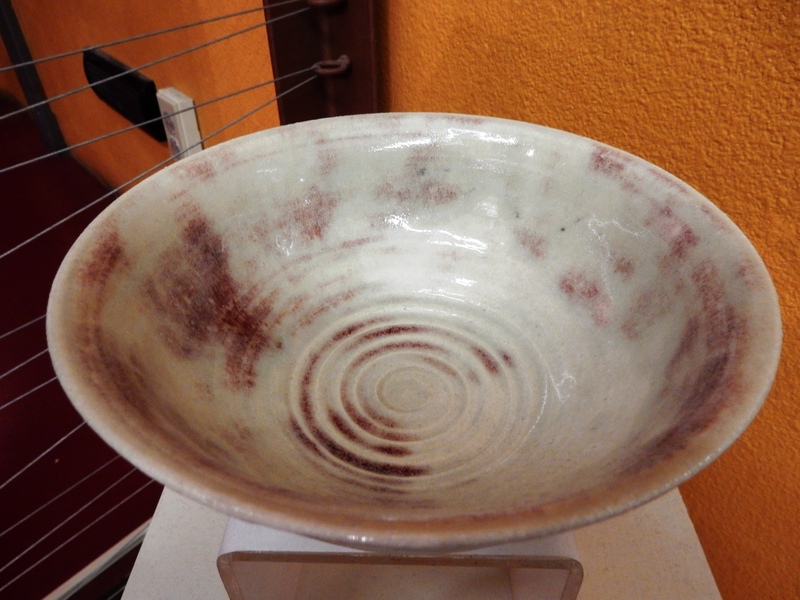 Bowl by Tim Psomas, Director of Exploratory Arts and clay artist/painter. 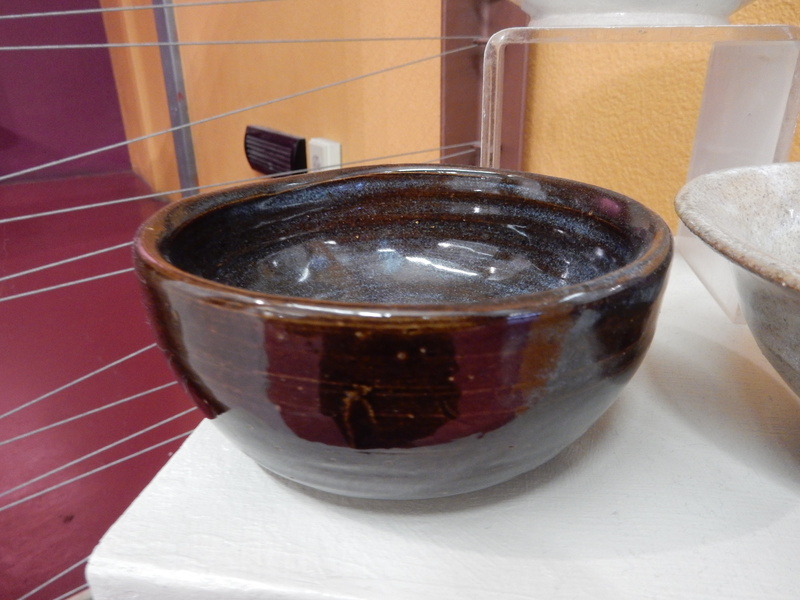 Bowl by Charles Chavez, Exploratory Arts Staff and clay artist. 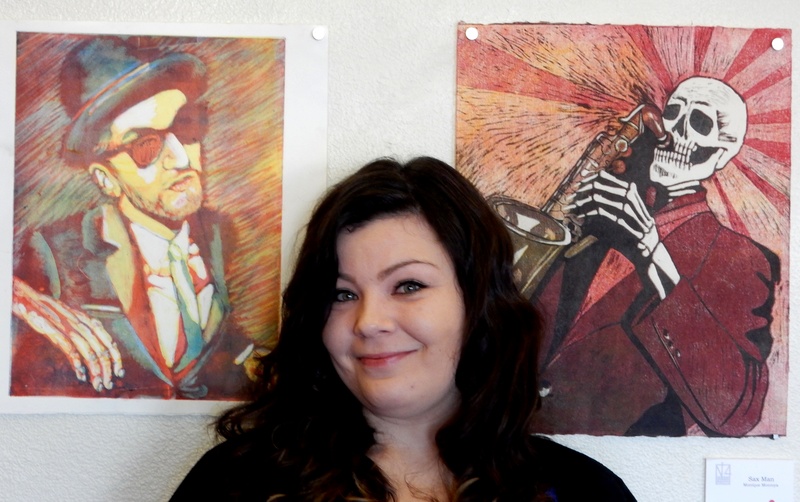 Ashlie Maxwell, Visual Arts Teacher and painter.